29.03.2017. 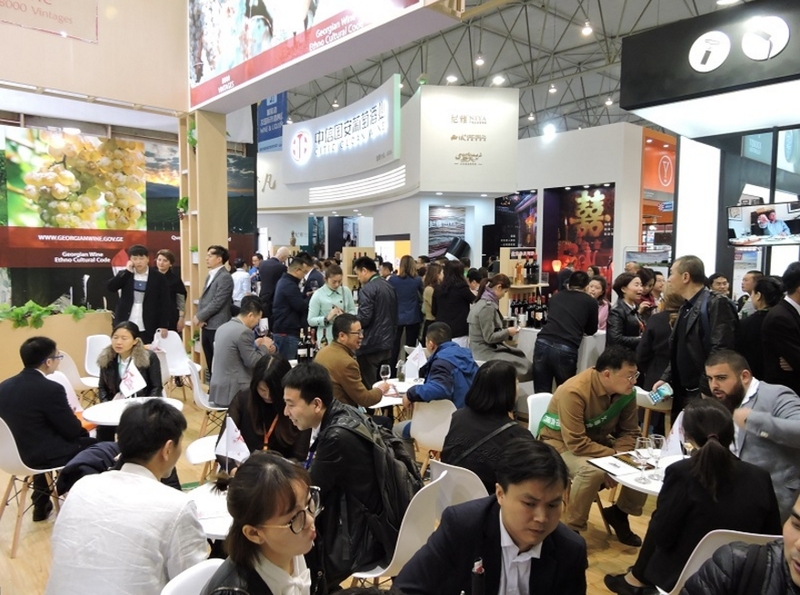 The 96-th China Food & Drinks Fair, a wine and food products international exhibition, was held in the town of Chengdu, Chinese Province of Sichuan. With the support of National Wine Agency, 27 Georgian winemaking companies have taken part in the exhibition, according to Georgian Agriculture Ministry. 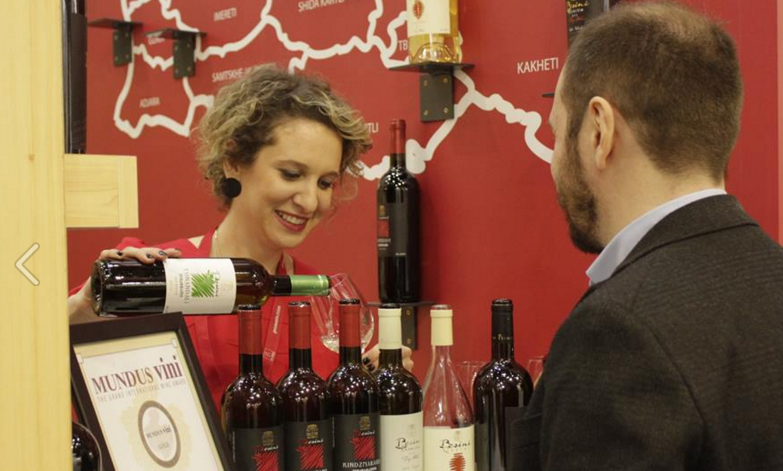 The first day of the exhibition registered a record number of visitors – 250 000 persons, Tamta Kvelaidze, deputy head of Marketing and PR department of National Wine Agency, noted. “At the exhibition Georgian wine deserved highest evaluation. 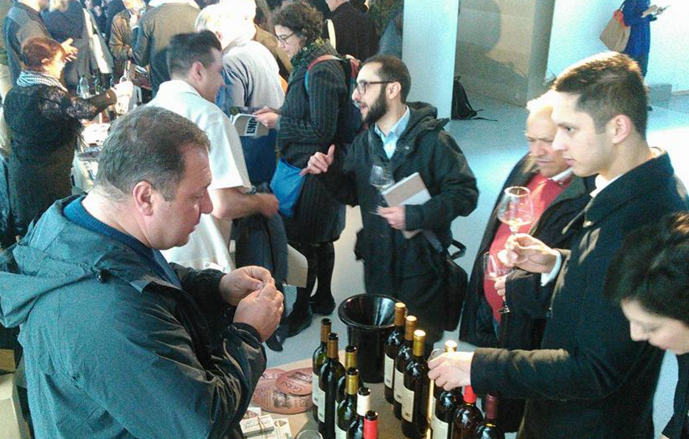 Representatives of Georgian winemaking companies met with old partners and potential importers. During the exhibition, new partnership agreements were signed. 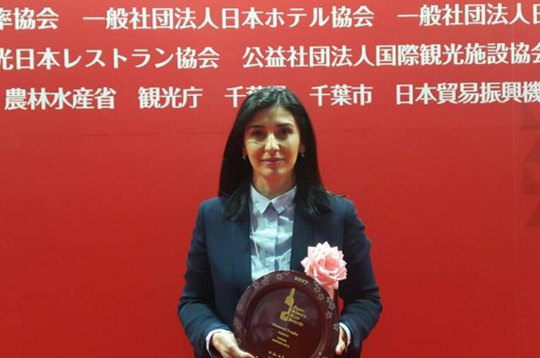 This exhibition is held since 1995 and is considered China’s most important exhibition, which provides best opportunity to make Georgian wine more perceptible and popular on southeastern Asia market”, Tamta Kvelaidze said. 25.03.2017 (Hvino News). 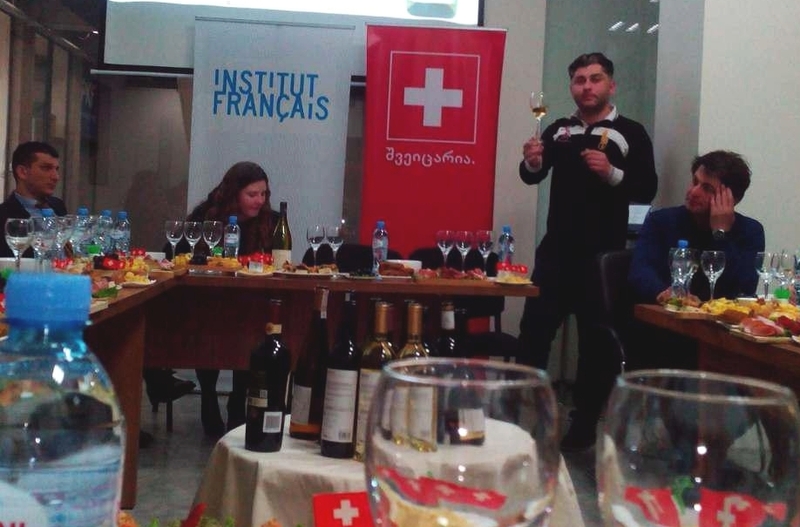 Swiss, French, Romanian, and Polish embassies in Tbilisi joined forces on March 24 to organize "Francophonic Wine Tasting". 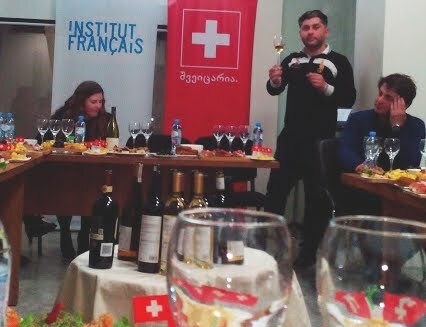 In the framework of Francophonie 2017, this event was conducted in French language in Tbilisi's cafe Apero. The selected wines from Georgia, France, Switzerland, Romania, and Poland were offered for tasting. The Ambassador of Switzerland H.E. Lukas Beglinger warmly welcomed the participants of the event. The Ambassador of Romania H.E. Radu Liviu Horumbă, and representatives of French and Polish diplomatic corps also took part in the soiree. One of the highlights of the tasting was Amphore - a qvevri wine made in Switzerland, which was highly appreciated by the guests. This wine is produced according to traditional Georgian technology by Albert Mathier & Sons in the Swiss canton of Valais. 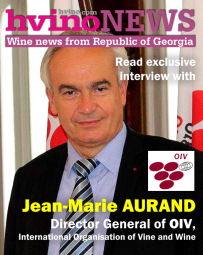 The Swiss company imported the qvevri clay amphorae from Georgia several years ago, and has been selling successfully its Swiss-made qvevri wine since then. Other wines offered at the tasting included French wines Chateau de Rouillac, Châteauneuf du Pape Comte de Lauze, Swiss Heida AOC du Valais, Romanian elite Domeniul Coroanei Cabernet Sauvignon, and others. Georgian wines from Vismino (a brand of GWS/Marussia Beverages) were also offered at the tasting. The event was led by Georgian wine expert Revaz Goshadze. 18.03.2017 (Hvino News). 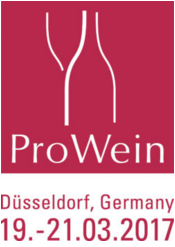 23 Georgian wine producers are participating in ProWein wine fair in Duesseldorf, Germany, on March 19-21. The event is recognized as one of the most prestigious in the wine industry of Europe. 13.03.2017. 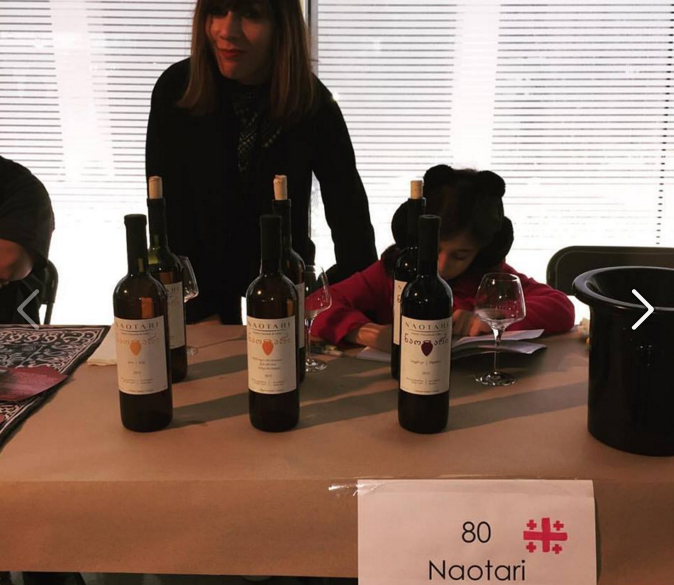 (Hvino News) Georgian wines are represented alongside some of the most exciting collections of natural and organic wines at RAW artisan wine fair in London, United Kingdom, om March 12-13. The RAW WINE festival annually celebrates some of the best natural wine producers in the world, with this year’s event featuring more than 150 growers. The wines of small Georgian growers, unable to attend the fair in person, were shown on a communal table thanks to National Wine Agency of Georgia. In addition to the Georgian growers who were attending in person, visitors were able to taste a collection of other wines from a collection of growers grouped together on "Multi-Grower Selection" table. “This is the third year of my participation in RAW WINE and each year I feel how the popularity of Georgian wine grows. Meskhian and generally Georgian wines were a discovery for some people years ago, but now, from all around the world, people come to taste Georgian wines. They sat that Georgian wine has a great potential. Last year I found two importers at this fair (Denmark and Switzerland). Yesterday, Danish partner wrote to me that my wine is among the best in Michelin-class restaurant chains, and they bought a large party. I think, this year I will find importers from California and New York”- said Giorgi Natenadze, one of participants of the fair. Georgian wines and especially qvevri wines have been gaining more and more popularity in the UK and the world. 13.03.2017 (Hvino News). 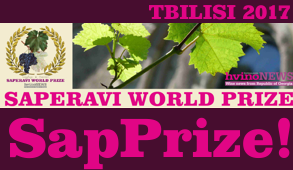 Vaziani Company's wine Saperavi 2015 was awarded with the Diamond Trophy - the most honorable award of Sakura wine competition in Japan. 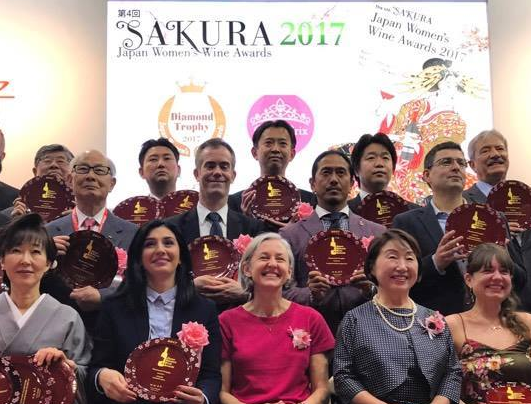 In the beginning of February, above-mentioned wine became the winner of The Double Gold Medal of “Sakura” Japan Women’s Wine Awards 2017 (read more here) and, according to the rules of the competition, was nominated for the most honorable award of “FOODEX Japan 2017” fair - The Golden Trophy. The head of National Wine Agency Giorgi Samanishvili noted this was important success for Georgian wine. “My congratulations to the company for such huge success. 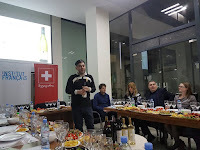 Being a winner of such prestigious competitions promotes not only the company, but also Georgian wine popularization and development on Japanese market in general, where National Wine Agency has active marketing arrangement plans for this year” - stated Giorgi Samanishvili. “Sakura” Japan Women’s Wine Awards is a large-scale international event, which was organized for the fourth time. The international wine competition is judged by Japanese female wine specialists, sommeliers, wine writers and journalists. 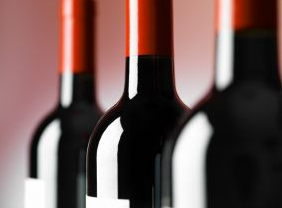 In the competition of this year, totally 12 Georgian wines were awarded by one Double Gold, six Gold and five Silver Medals. This is the second time Georgian wine is awarded by the most honorable award of this competition. In 2015, “Lukasi” wine - “Chkhaveri” was awarded by The Diamond Trophy. Read more at Japan women’s wine contest awards two Georgian wines. 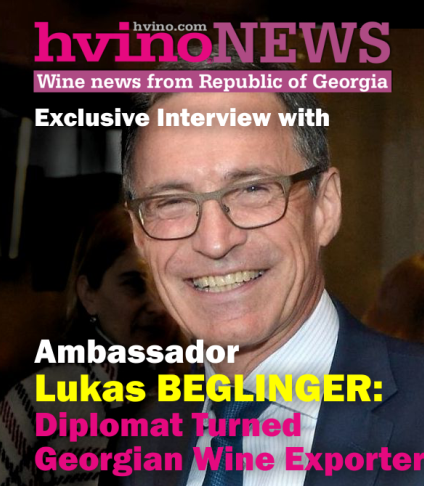 Hvino World News is our new column focusing on important events and news from international wine world scene which may be useful and relevant to Georgian wine industry. 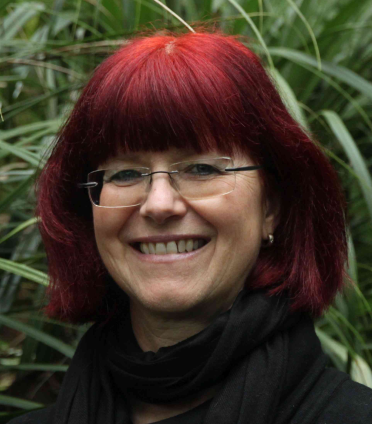 The column is authored by Ute SEITZ, wine author and wine tourism adviser (Tbilisi). 13.03.2017 (Hvino News). The actual available figures of the EU wine markets give an insight on the situation and development from about 1.5 years ago. The time-delayed publication of the data is owed to the complexity of summarizing data on regional, national and EU level. As one can assume development on the wine market does not happen erratic but rather for longer periods the data still give a compact contemporary orientation. The wine market volume of the five biggest EU wine markets sums up to 92 million hectolitres. With 28 mn hl France is the biggest wine market, followed by Italy (21 mn hl) and Germany (20 mn hl). These three countries stand for 69 mn hl or more than two-thirds of the TOP 5 groups’ wine market volume. Concerning the per capita consumption France is number one with 43 litres per person per year. However, in the years since 2000 the French wine consumption declined on average by 10 l per person per year. The highest decreases reports Spain with 15 l per person per year or – 41 % - a tremendous decline. About the reasons can be speculated. Basically the economic frame conditions might be responsible. The decrease in consumption is also important for the placement of freed wine volume on the market, which triggers price pressure and increased export efforts. 11.03.2017 (Hvino News). 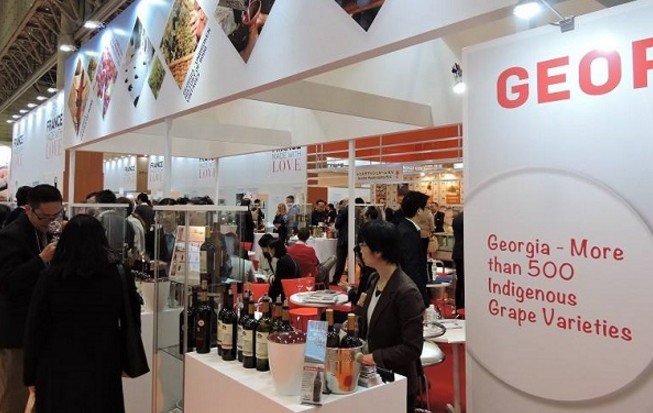 Seven Georgian wine producers are represented at the 42nd International Food and Beverage Exhibition (FOODEX) in Japan – the largest annual food and beverage trade show in Asia. The four-day fair began on March 7 at Tokyo's Makuhari Messe, where about 80 countries displayed their wines. Georgia is represented by Besini, Dugladze, Kindzmarauli Corporation, Shalauri, Schuchmann Wines, Vaziani, Winery Khareba. The Ambassador of Georgia to Japan Levan Tsintsadze attended the Georgian wines stand, helping Georgian wineries as well as other food & beverage suppliers to display their products to the Japanese market. 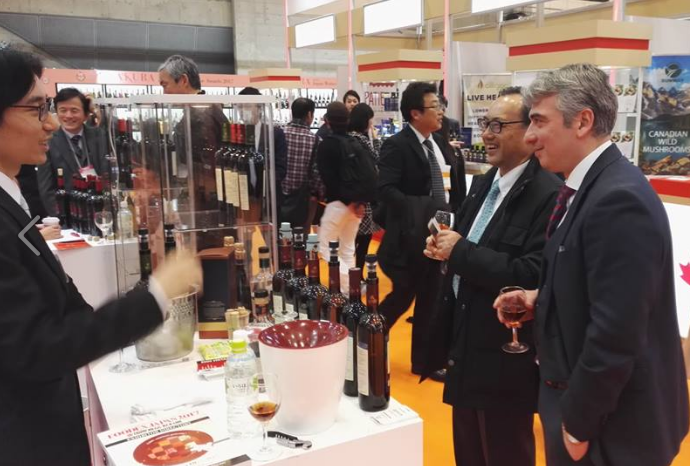 Within the exhibition's framework, FOODEX JAPAN hosted a seminar and presentation on Georgian wine. Georgia’s National Wine Agency says it intends to continue promoting Georgian wine abroad. 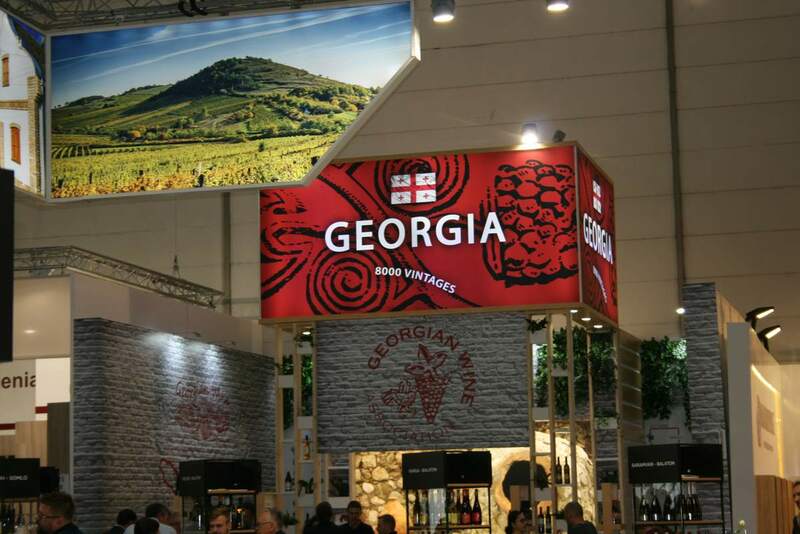 The agency believes it is important for Georgia to be involved in top trade fairs around the world as it raises awareness of Georgian wine among international customers. Japan in particular is a growing export market for Georgian wine – in 2016 alone, 160,000 bottles of Georgian wine were exported to Japan, which made for a 15 percent year-over-year increase. 10.03.2017 (Hvino News). According to National Wine Agency data of the recent 2 months of 2017, 8 777 275 bottles (0,75l) of wine has been exported to 32 countries worldwide, which is 94% higher, than the similar data of the last year. In the period under review, 20,5 mil USD worth of wine has been exported, that is 91% higher, than the similar data of 2016. “According to the data of February, export has progressive tendency, which is complimentary, due to the sequential work of the viticulture and winemaking field. In accordance with the marketing plan, we implement the arrangements with the agreement of the wine industry. Export has increased on the market of the European Union, China, USA and also on the traditional markets, where the situation has become stable. 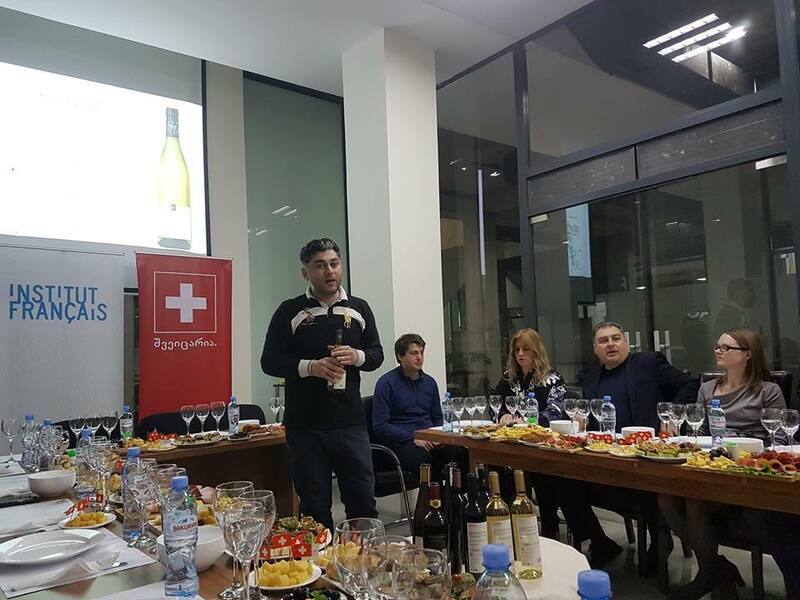 This year has started really actively and we hope that the progressive tendency of the export will be maintained in all directions until the end of the year” - stated the head of National Wine Agency Giorgi Samanishvili. The first five of the exporter countries is the fallowing: Russia (5 717 289 bottles), Ukraine (859 756), China (832 552), Kazakhstan (389 040) and Poland (312 650). 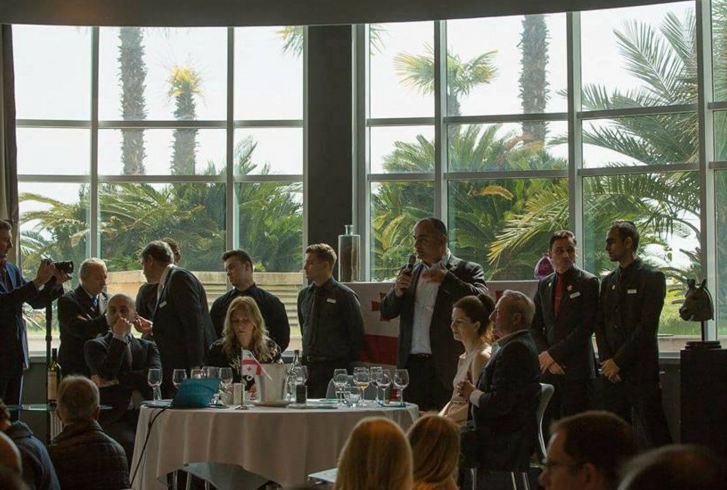 Australian Financial Review: "Georgian wines are very trendy"
10.03.2017 (Hvino News). The Australian Financial Review has published a detailed article on Georgian wines. 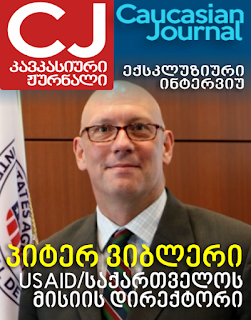 Authored by award-winning journalist Max Allen, the article is entitled "Georgian wines, part of an 8000-year-old tradition". In his article Max Allen outlines that "Georgian wines are very trendy right now, especially in those corners of the wine world where all things organic and minimal intervention are sought after. In many ways, Georgia is the ultimate destination for devotees of natural winemaking. .... There are no additions at all during the winemaking process (no yeast, no acid, no enzymes, just grapes) and no fining, filtration or preservatives at bottling." "Some of these wines can be a bit challenging to modern drinkers brought up on a diet of clean, fruity, approachable flavours. This is particularly so of Georgia's "amber" wines, made from white grapes fermented and matured for months on their skins in qvevri and which can be just as tongue-grippingly tannic as many red wines. Some of the more lo-fi, minimally manipulated examples can taste rather homemade, too (often because they are), even quite rustic and farmyardy at times. But the best (such as the three reviewed here) are full of beauty, charm, vitality and deliciousness." The author reviewed three wines: 2015 Iago's Chinuri, 2015 Pheasant's Tears Kisi, 2015 Antadze Saperavi. 09.03.2017 (Hvino News). “We are considering a potential project in Georgia. It might be either distribution or acquisition of assets”- said Pavel Titov, head of major Russian sparkling wine producer Abrau-Durso after recent visit to Georgia. 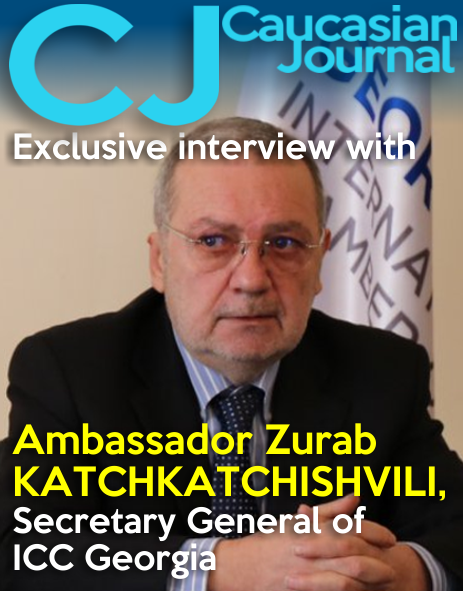 "Majority of Georgian premium segment producers do not have effective distribution, and we can help them," - Mr. Titov stated. He did not mention possible partners, noting that the company will be able to announce more detailed plans within a month's time. 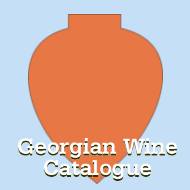 As Titov noted, two-thirds of the Georgian wines delivered to Russia are semisweet. However, Georgia can offer to consumers "a lot of dry wines of very high quality," he added. Abrau-Durso is Russia’s most famous sparkling wine producer. Abrau-Durso Winery is located between Anapa and Novorossiysk near the Black Sea coast. 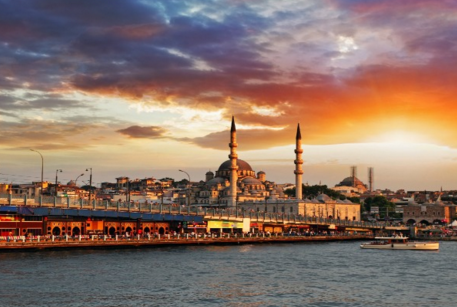 It was developed in 1870 by decree of Emperor Alexander II. 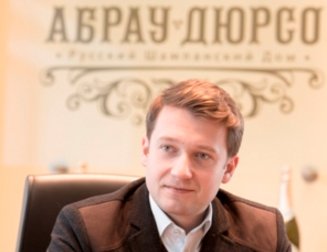 In recent years, Abrau-Durso was acquired by entrepreneur Boris Titov (father of Pavel Titov). The winery has few vineyards, but purchases grapes from neighboring vineyards to produce about 2 million bottles per year of classic méthode champenoise wines. An additional 14 million bottles are produced using the reservoir (charmat) method from imported wine material from several countries including South Africa. Shares of Abrau-Durso trade on Moscow’s MICEX stock exchange.